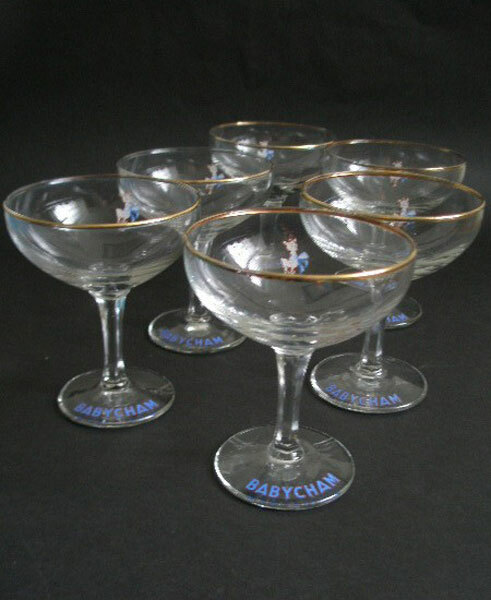 Here are six original 1950s Babycham glasses. The white fawn was the first type to be made. These also have the hexagonal stem and BABYCHAM in blue on the base. CONDITION: Very good. No chips cracks or fleabites but gilding is worn to the rim of glasses.